Thanks to Fawn Nguyen for this lesson idea. Her original blog post on this lesson is here. I did this lesson with my Grade 9 applied class and it went over great!! What did you wonder? 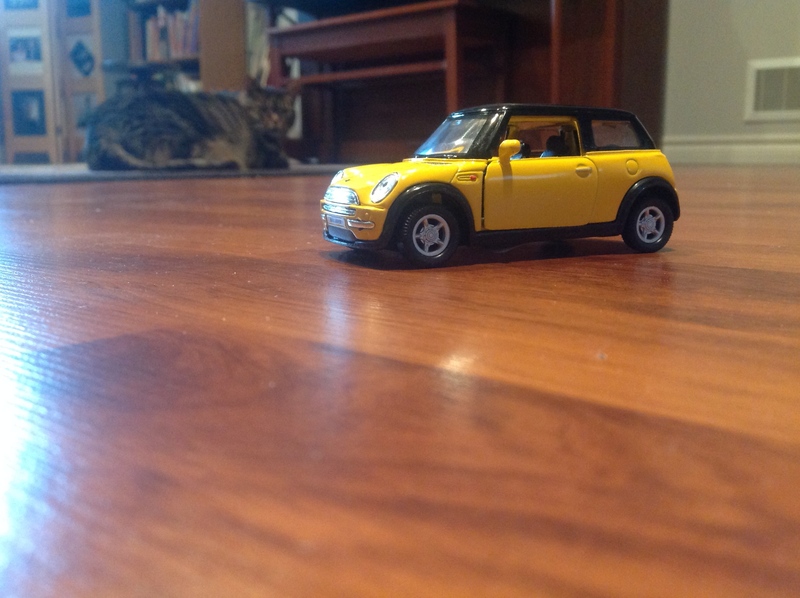 ….. How much the car was pulled back to make it go 117 inches? Here’s what we did to help answer that. 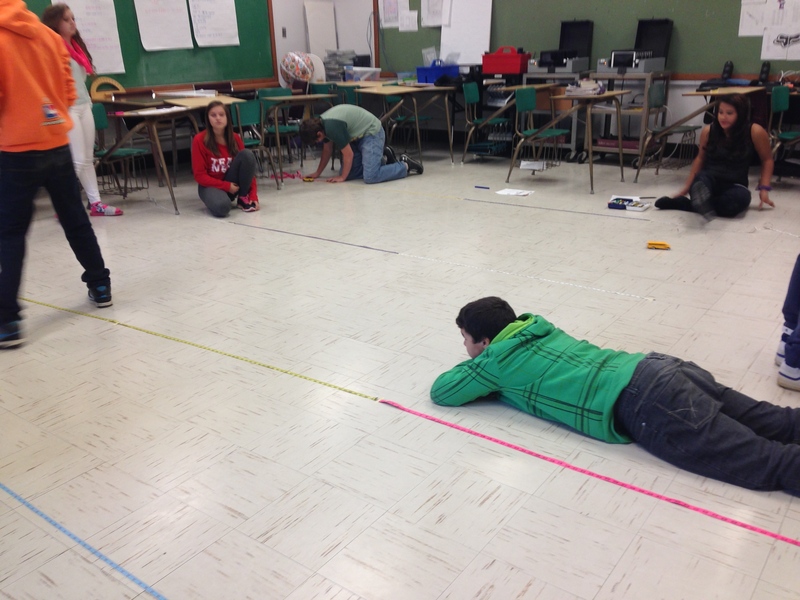 Then we set up tape measures on the ground…. We made trial runs with out cars and recorded our results on a handout. We graphed our data in Desmos and fitted a function to model. 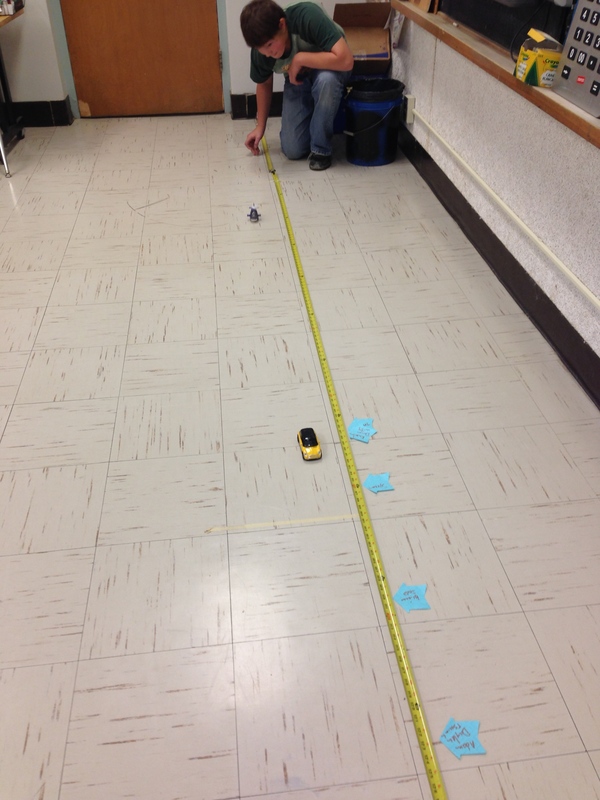 Students had to interpolate the data to estimate how far to pull the car back to make it go 117 inches. Love the Vroom Activity. How do you get one line of best fit for the three trials in desmos? A few of us would like to try this but cannot figure it out. Thanks!